I'll start off by saying that my numbers are surely not accurate...I keep them in multiple places and not a single one matches. But I have a working number that I go off of and even though I'm sure it's not right, it's probably as close as I can ever get. I treat it as if it was correct. Last night, I hit a major milestone with my collection....I hit 150,000 different cards. That's a grand total of all sports and non-sports...everything. I began collecting in 1988 and have never truly stopped, although 2007 and 2008 were pretty lean years, I got documented new cards in both of them. (Documented meaning I listed them with a date in my paper listing). I didn't actually have a working total number until January of this year, when I finished listing and counting the cards that came with 1/64 diecast cars. I know I have others, but no idea where. I hope to find them some day. But I counted what I had, and it was the last section of my collection that did not have even a rudimentary count. I'm running with it as a grand total even though I don't think I ever counted the oversize cards, or even the 1996-97 Collector's Choice mini-cards...which I did separate. I hadn't opened any 2016-17 Complete since Christmas, when I got a blaster. For a set I really like I have not chased it as much as I normally would. At 400 cards this year it's still 50 players away from being actually complete, but it's the largest crop of players Panini has ever given us. 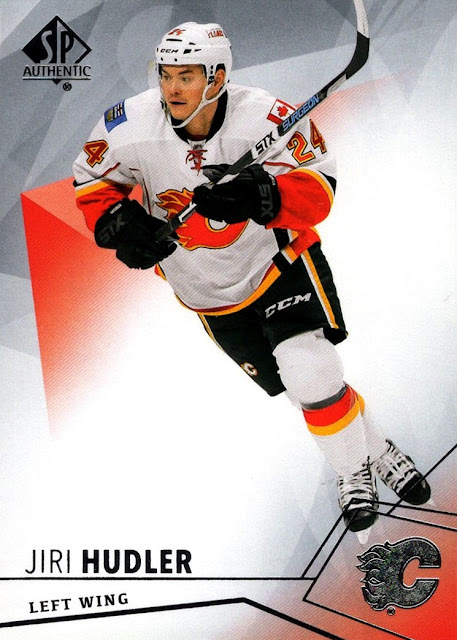 I also picked up two packs of 2015-16 Excalibur and one each of 2016-17 Threads and Prestige, and some hockey packs- 2014-15 O-Pee-Chee Platinum, 2015-16 UD Series 2 and 2016-17 MVP and Artifacts, which I thought at the time was the first pack I'd ever opened of the set, but I was wrong, it was my second. I now sit at 150,031 cards...and the number will always keep going up, as I don't plan to ever stop collecting for as long as I live. 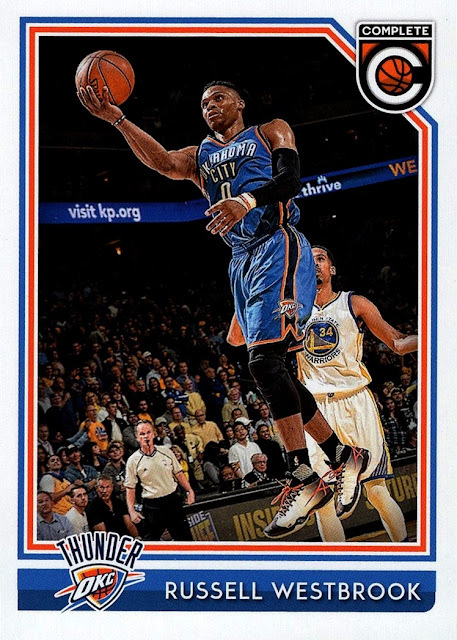 Since I've got this Westbrook card posted, I will say also that I'm thrilled he won MVP this season. He earned it with one of the most amazing performances in NBA history, averaging a Triple Double for the entire season, something only ever done once before in the NBA's 70 years. 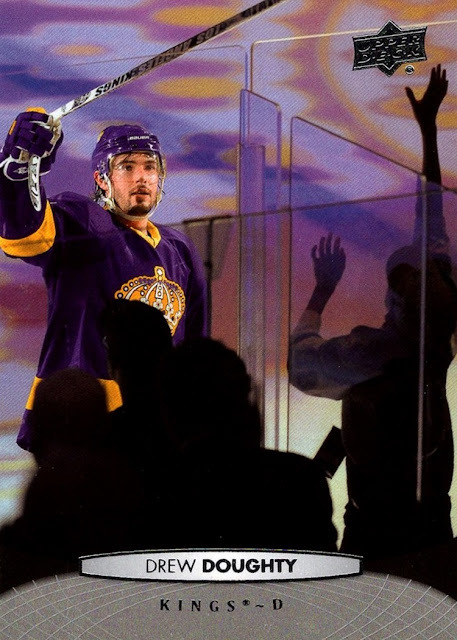 The amazing thing is that if they don't bring in some help this off season, he might be doing it again next year, too! I would not have hit this milestone without the help of my fellow collectors. I've added literally thousands of cards as gifts from fellow bloggers/collectors just in the last 12 months alone, and I treasure every one of them. Thank you to everyone who has ever sent me a card. The majority of the cards were from 2015-16 Upper Deck, so I put them into a canvas. Note that they aren't in numerical order, just the order I scanned them in. There were a couple more but I had them already. The Karri Ramo card is the first of him in my collection. 2011-12 Upper Deck. 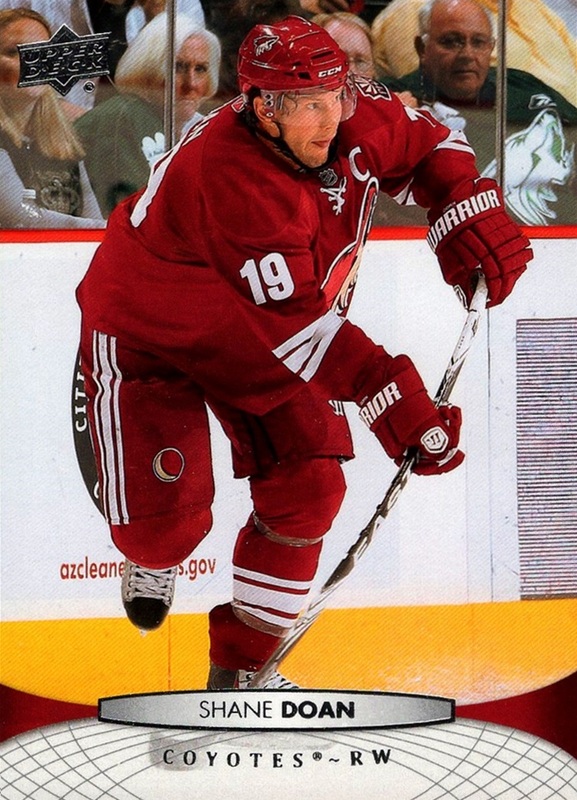 Coincidentally maybe 20 minutes before the mail arrived I was talking to my mom about how the Coyotes had dumped Doan after more than 20 years with the organization. 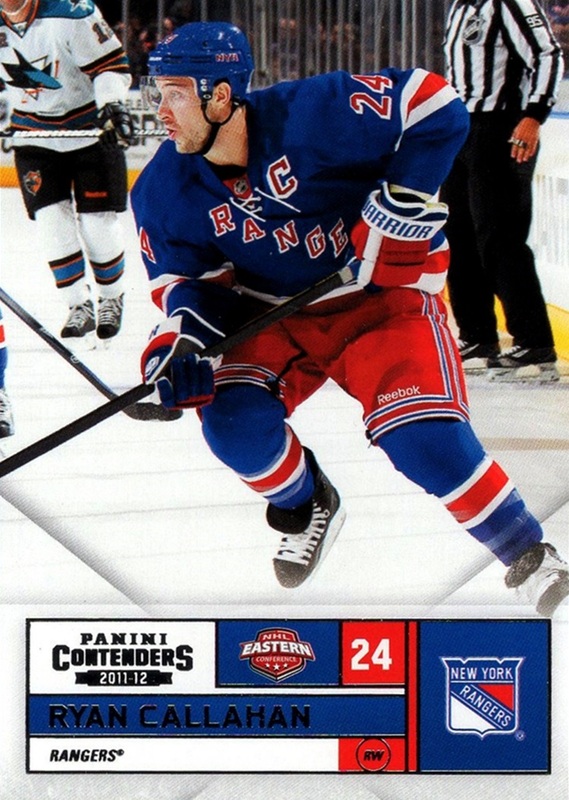 and 2015-16 SP Authentic, which is my first card from this set! 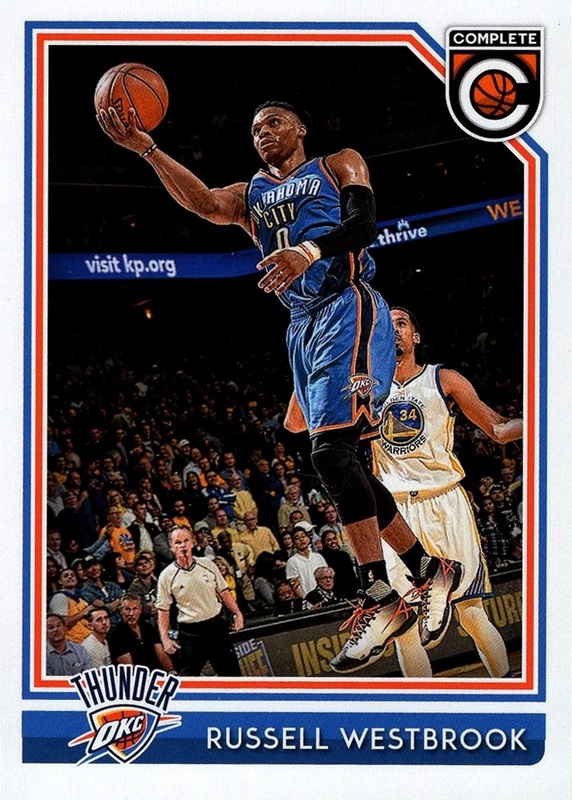 There were also two 2014-15 MVP cards but I forgot to scan them. Duh! WHA cards! My first, second and third Cincinnati Stingers cards in my collection, in fact! 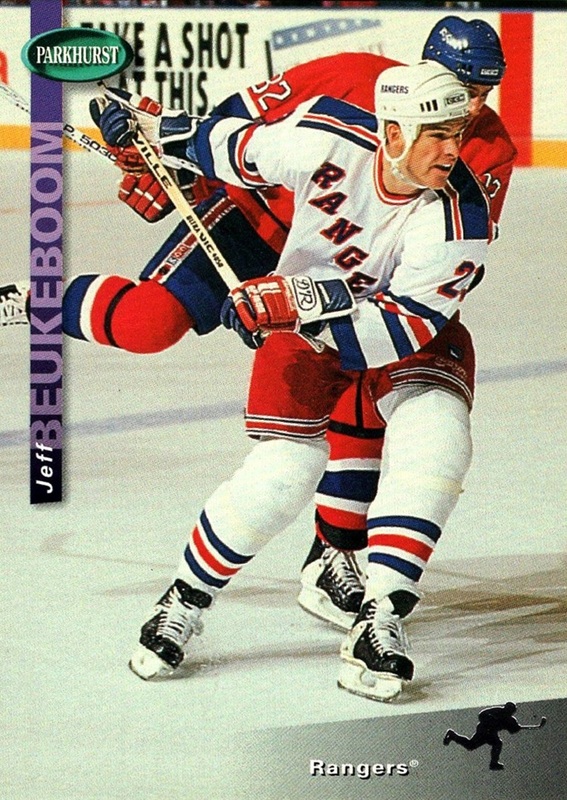 My 2nd-4th WHA cards also, I had a Whalers card from this set previously, which I think I showed on the blog when it arrived. Too cool. 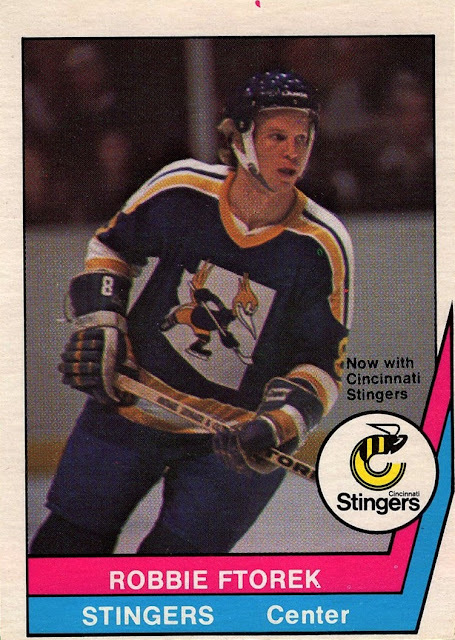 It's not every day I get to add a new team to my collection, and it's even rarer when it's for a team in a league that folded before I was born. The WHA is the hockey version of the ABA, which I've always had a definite fondness for, so there's little surprise that I find these cards thrilling to add to my collection. Today is the Sears Point Infineon Sonoma Raceway race, the first of two road course races on the Cup schedule. It's also one of my favorite races of the year, but unfortunately I've slept through the race more often than I've seen it...my schedule varies and when it makes me miss this race, is very annoying. This year I've been able to see every lap, which I'm quite happy about. Even if it's looking like, with 4 laps to go, the winner will not be a favorite driver of mine. I don't care, I love this track and am always happy to see it. I thought I would take a look at a special paint scheme from the all-time best road racer in NASCAR history, Jeff Gordon. I chose to show the last special paint scheme to appear on a card, although Jeff drove many more after this one- Press Pass couldn't be bothered to show any of them. 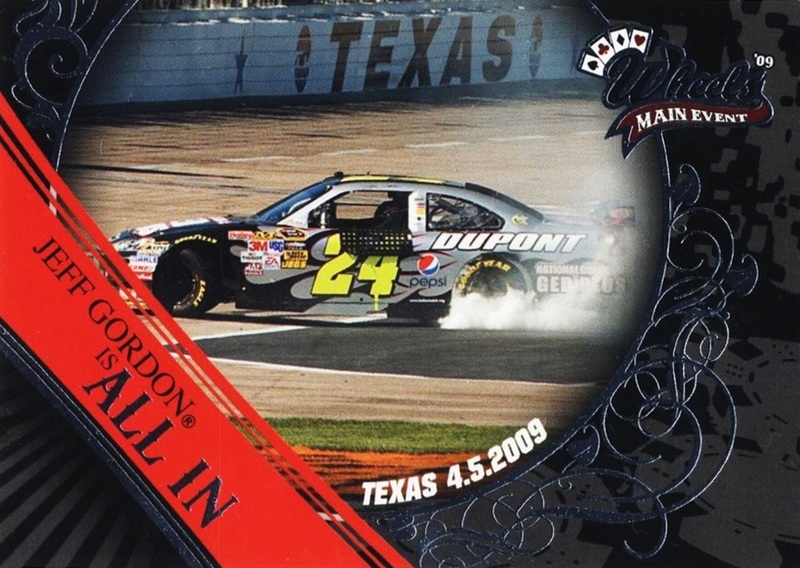 Jeff did not have a good track record at Texas, but he finally broke through and won in this car, after trying since 1997 when the track opened. It was the final track Jeff needed to have won at every Cup track he drove on, although he did miss Kentucky which was added after this track at the end of his career. I am a big fan of Jeff, and am not happy that he retired. He led the very first lap of NASCAR racing I ever saw- it happened to be his first lap led as well, by the time he retired he would rank (I believe) 6th in all-time laps led. Maybe higher. 2009 Wheels Main Event is not a set I like- one of my all-time least favorite sets in fact- but it shows this car the best. It also appears on the Unleashed insert from 2009 Press Pass, but much smaller. 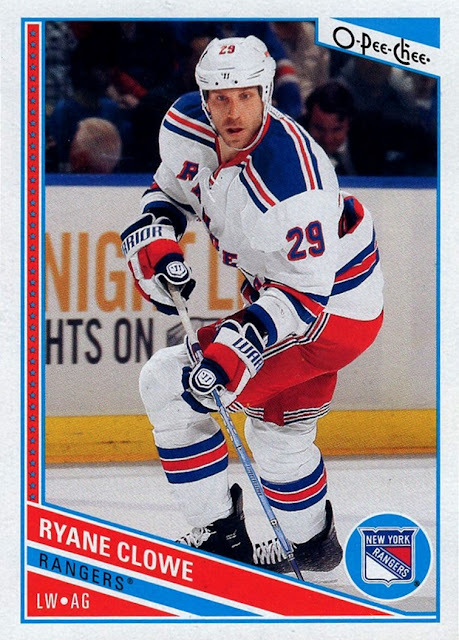 However, that card does not crop off the nose and tail of the card. I've spoken, in the past, about how much I enjoy the draft and seeing all the new names of players who will hopefully soon enter my collection. 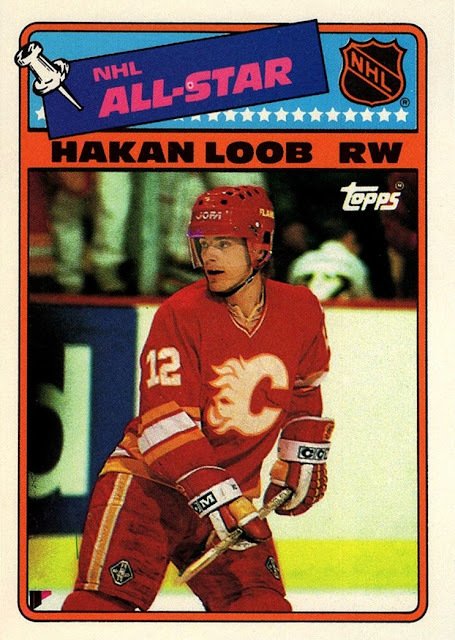 This draft was kind of unusual in that there was only a couple of players from the first round who was not from the USA or considered a USA player by attending college here. Last year saw a record number of international players, this year was the least I've seen in many years. The top few picks were not a surprise...the one surprise I found was Malik Monk slipping to 11th, I had him pegged at 7th through 9th. The biggest surprise is the Jimmy Butler to Minnesota trade. I don't have too much to say yet, but I will say the 2017-18 NBA season officially started today and that is a great thing...July 7th in Summer League and I will be watching most of that...if I am awake, it will be on, essentially. Mostly I just want to get the screencap of the Excel chart I made posted up. I'll return to this post at the conclusion of the coming season and see how many of these players make it into my collection....although I probably won't post about it, just for my own personal enjoyment. 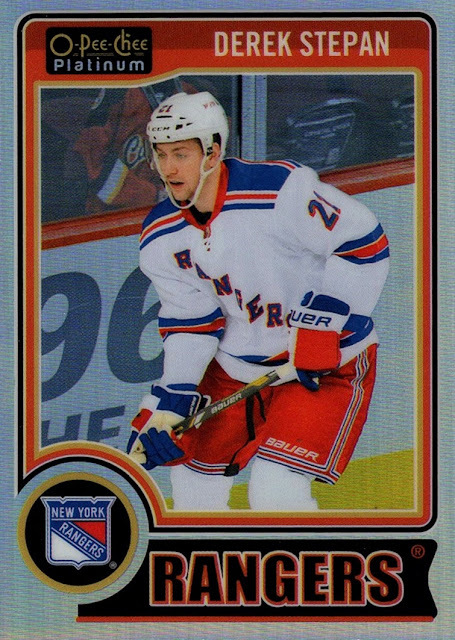 Tyler Lydon, who went 24th, is the first player from my home county to be drafted since 1971, so I'll definitely be looking to add cards of him to my collection. He was drafted by the Jazz and traded to the Nuggets tonight. 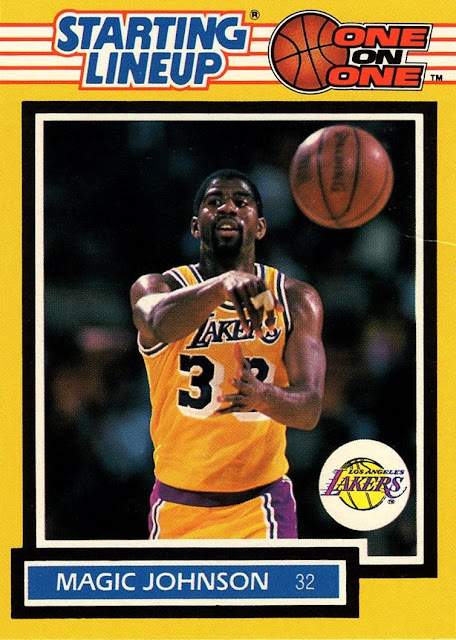 To keep this somewhat card related, I got a trade in from the Trading Card Database today that completed 1989-90 Hoops for me, I believe. I'll research it more and post a scan in my pending June trade recap. 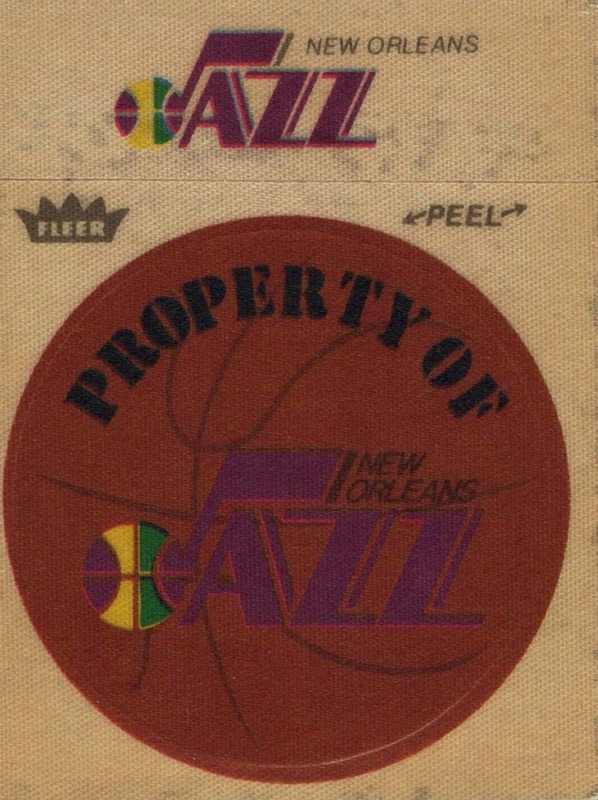 It's been a long road as 1989-90 Hoops was one of the first sets I added to my NBA collection when I discovered the sport in 1996. Looking at the chart I see that I made at least one spelling mistake...at some point I will probably transcribe it to paper and store it in my card collecting issue. 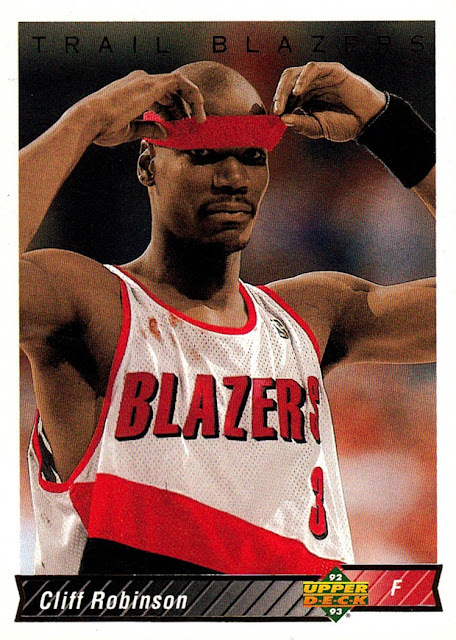 Here's a random scan of an NBA card just because I have not posted any in a while. I did happen to scan this one while watching the draft. 1992-93 Upper Deck #107. This was before he switched to Clifford due to confusion with the older player who was also known as Cliff. I just noticed that there is red stains on the jersey...quite probably blood. Nowadays they would make him change it, but back then I think they were a little more lax in jersey regulations. I just finished watching the expansion draft for the new Vegas Golden Knights. While the Rangers took the lead as my favorite team, I will forever be indebted to the Golden Knights, because they got me into hockey, which is now a major part of every single day of my life. On November 22nd, the Golden Knights announced their logo and I wanted to see what it was after the thread talking about it on the Trading Card Database. I tuned into NHL Network and left it on...it took only moments for me to become hooked. 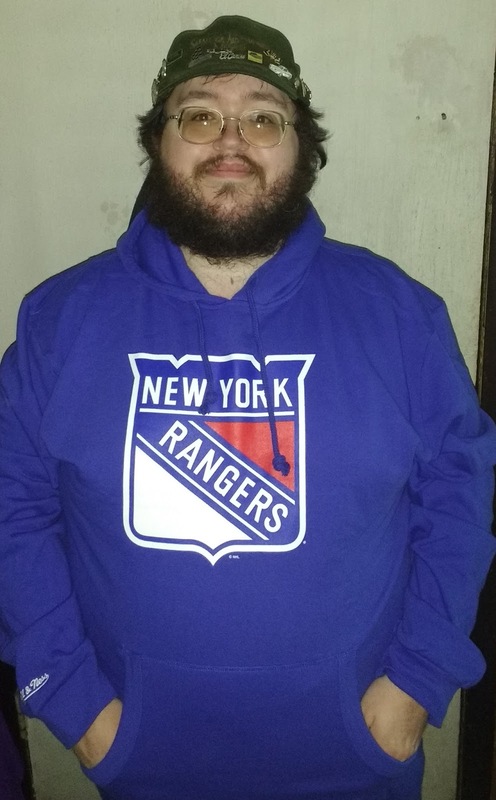 Now the NHL is something that has already become part of me, part of my life. 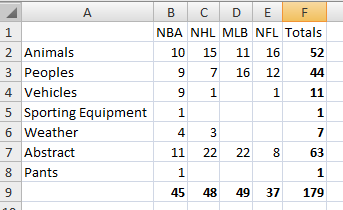 Tonight we learned who would make up the team, and I took notes in Excel as it went along. Several of the players came out on stage and I thought to take a screencap of Jason Garrison, the second to come on stage (Brayden McNabb was first but I didn't think to screencap). The new uniforms were introduced yesterday, they will be the only team wearing gray. Now, the wait is on to find out what card will be my first from the Golden Knights. I took my first Bobcats card and, once I had a duplicate, put that first into a toploader (something I usually only use for mailing) and wrote in sharpie on the toploader that it was my first Bobcats card and the date and location I added it from. 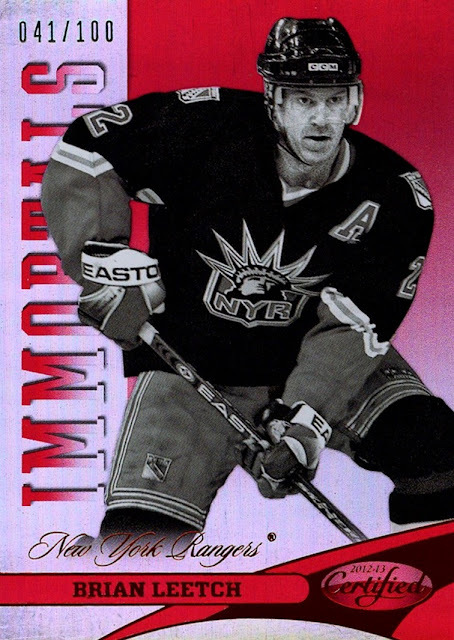 I don't get as many cards as I did back then so I doubt I will get a duplicate of my first Golden Knights card, but you can bet I will make a blog post about it, something I was not even aware existed in 2004. Despite being a sports fan for many years, this is only the second expansion draft I've experienced, after the NBA's Charlotte Bobcats in 2004. 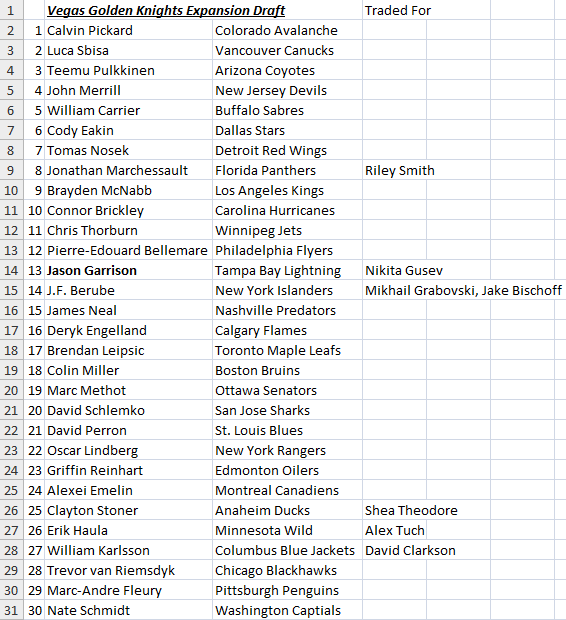 (I kept track of the players on paper for that one, a note I just found recently). I like the way the NHL did it, mandating one person from each team. It seems more fair that way. Hopefully the NBA will expand in the near future. I expect another NHL team in the next couple of years as well. I suspect if the Golden Knights are a success the NBA and other leagues will want to move into Vegas before too long. I hope it happens. I want more teams to collect! 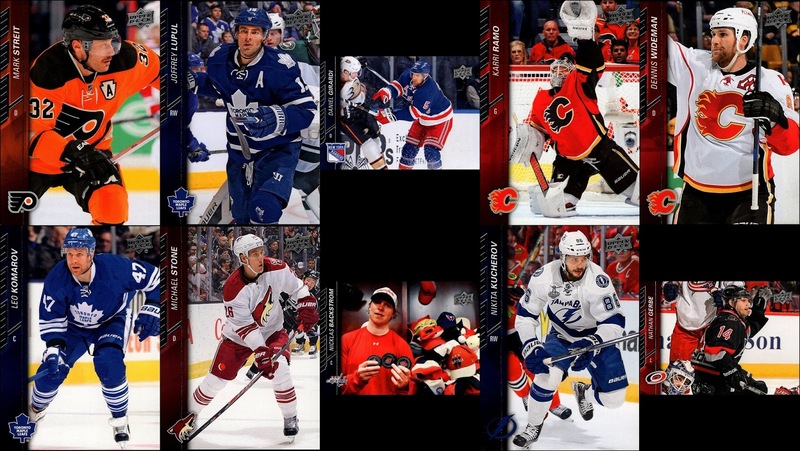 I'm definitely going to make the effort to collect the team set of Golden Knights cards from the flagship Upper Deck set in 2017-18. Hopefully I'll be able to pull most of them. 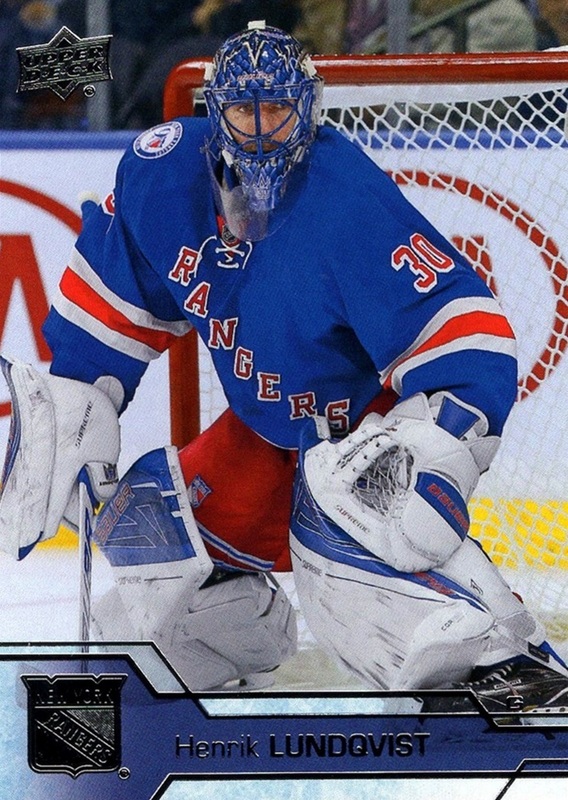 Realistically I know I can't because I don't buy enough cards anymore...but I can still hope! I'm excited for the new season already...October 4th is the start date I believe. July, August and September are always tough months to get through with only NASCAR, but it won't stop me from posting. Two blog bat-a-rounds in one year...I think that's the most I've seen in my (relatively) short time blogging. 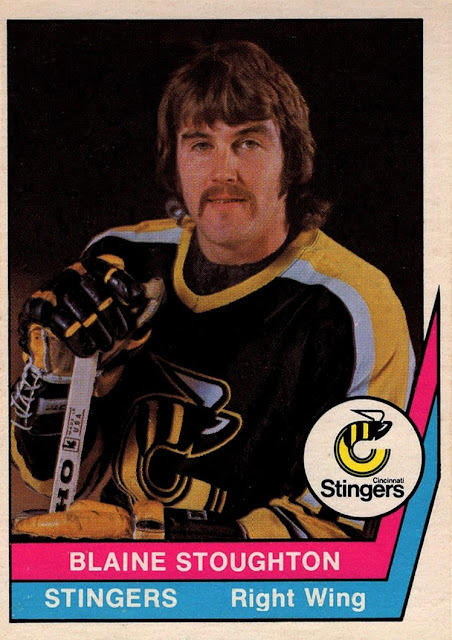 This one was posed by P-Town Tom and asks why we collect certain players. I have a hard time answering that, because collecting only one player seems totally bizarre and wrong to me. I've never been one to "focus"...why limit myself, why deny possible enjoyment just because it doesn't fit a "focus"? 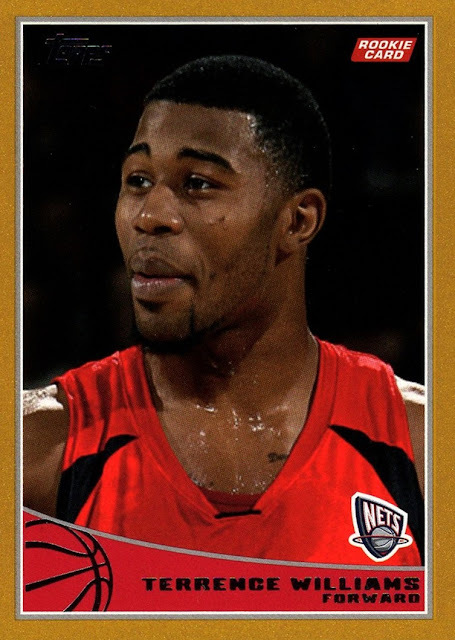 So...the reason I collect specific players is because they played in the NBA. Or drove/crewed/owned in NASCAR. Or competed in the Olympics. Now I've added NHL to that. Everyone...everyone who ever participated in the history of the sports I collect is my player collection. Do I have favorites? Yes, of course. But I still collect cards of people I can't stand. I can't tell the history of the sport without them. 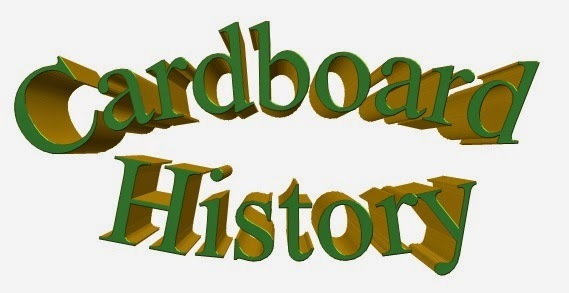 It wasn't until recently- late 2015 I think, not totally sure when but after I started Cardboard History- that I conceived the idea to have everyone who ever got an NBA or NASCAR card into my collection. Until the days of the internet I had no real way to know exactly who had cards. Now, with the Trading Card Database, it's easier to find out, and I did...I went through and clicked on every single name that did not appear in my collection. (it took several days). I know it's not perfect- some people didn't have listings yet, some people I marked as missing when I had them and present when they were missing, (I am only human, after all) and some have been added as I have expanded my scope of what counts as a card in my collection, but it's a very good baseline and gives me something to strive for. 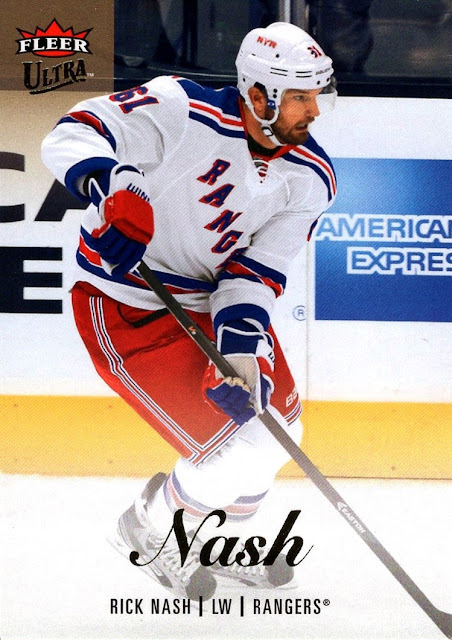 Here's a little secret...I've begun collecting images of players who never got cards and plan to make my own...which I will count as part of my collection when/if I ever get them made physically. I don't really have the skills/knowledge of how to do that yet but I will either learn or bring in help. When I run out of cards of different people to chase, or at least get to the point where I can't find/afford the cards of the people still missing, that will be my next project. Of course, now that I've added the NHL to my collection, I have 100 years worth of players to chase! That's going to be a project that probably will keep me busy for many years. After all, I've been collecting the NBA for more than 20 years and the list of people missing is still about 400 people long. Other favorite players, off the top of my head, in somewhat chronological order of them being favorites: Muggsy Bogues, Rik Smits, John Stockton, Karl Malone, John Wallace, Kendall Gill, Tim Duncan, Kenyon Martin, Jason Kidd, pretty much the entire 2002-03 rookie class,(that season is important to me) Klay Thompson, Steph Curry, Kevin Durant, Draymond Green, Brook Lopez...I know I'm forgetting people but I'm half asleep typing this and planning to schedule it for later. 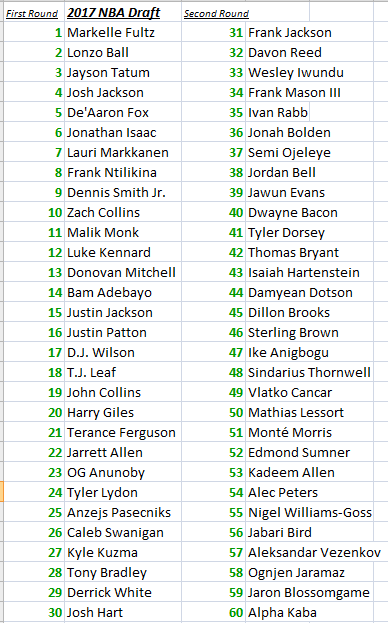 The number of players I dislike in NBA history under 25, although there are a lot of players I never got to see play or died before I was born that I never got to "know" so I suppose it could be more. But I tend to like everybody unless they give me a reason not to. 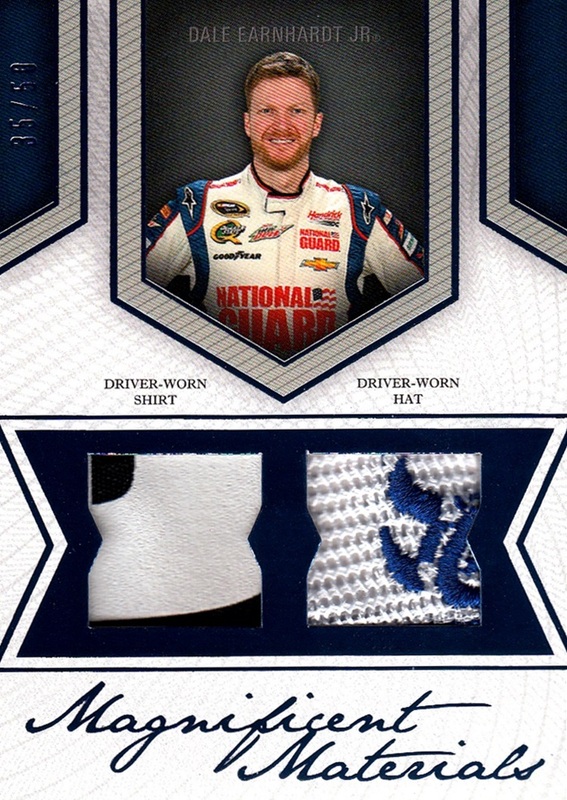 for NASCAR my all-time favorite is Dale Earnhardt Jr. Unlike most people I didn't jump on his bandwagon when his father was killed, I was a fan of his since 1994 and was not an active fan of his father, although once he was gone I realized that I missed his presence in the sport and I was indeed a fan. Dale Jr. just has a great personality, we like most of the same things although you could not pay me to eat a banana and mayonnaise sandwich, our favorite number is even the same...mine since before I even knew what NASCAR was, #8. We both like plastic models, we both love NASCAR history, we've both had a history of concussion, heck, we both even like blondes. We're pretty much what could describe as kindred spirits, I suppose. Other favorites: Ernie Irvan, Rick Mast, Ted Musgrave, Jerry Nadeau, Martin Truex Jr. Darrell Wallace Jr. I have to mention Wendell Scott here as well, even though I never got to see him race. I learned about what he accomplished, and what he went through to accomplish that, and it's inspiring. One of the greatest things I've ever done was create the Facebook group that led the charge that got him into the NASCAR hall of Fame...and also got me connected to his children Wendell Jr. and Sybil and grandson Warrick. I have not accomplished a lot of note in my life, but that...that is something I'm extremely proud of. For the NHL, it's hard to say. I'm still so new to it. I heard them say on NHL Tonight last night that it was November 22nd, 2016 when the Golden Knights announced their logo, and that is the day I truly became an NHL fan...not even 7 months yet. But it's already become something that is present in every single day of my life, and will be, for the rest of my life. Honestly, it's moved past NASCAR for my #2 sport which seems hard to believe, but NASCAR has regulated itself into nearly irrelevance. 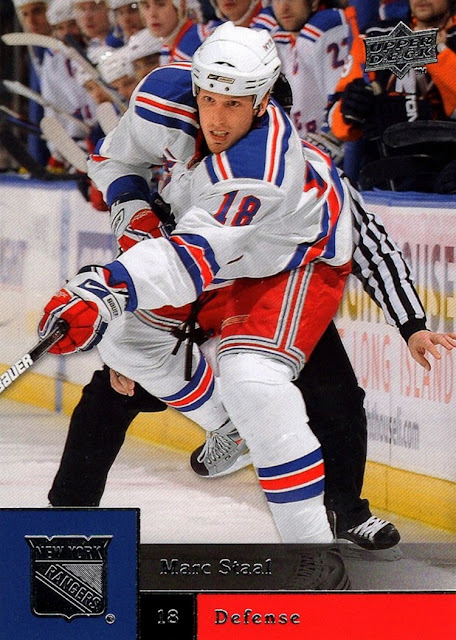 I found that I ended up watching more NHL than NBA as the season wore on and that caused quite a lot of internal conflict...I felt guilty watching one over the other, regardless of what I chose to watch, and that is going to be a troublesome quandary for quite a long time, I suppose. I'm still learning about all the players but Henrik Lundqvist has taken an early lead as favorite. The stoic earnestness just won me over, I suppose. Other early favorites include Brent Burns, P.K. 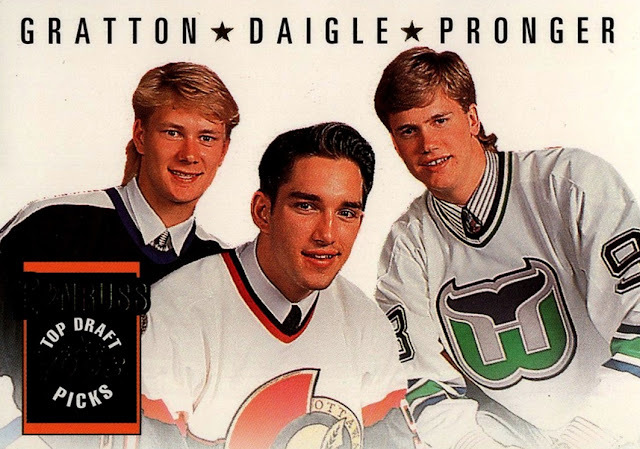 Subban, Jarome Iginla and Jaromir Jagr, (I get a kick out of the fact that he began playing the year I entered kindergarten and is still going all these years later). Unfortunately for me with the exception of P.K. and possibly Brent the others are all nearing the end of their careers, just as I'm beginning mine. As I watch and learn more about the NHL, I'm sure I'll figure out more favorites. Lions, Tigers and Bears, and Pants, Oh My! Something that every sports fan knows about is their team's names. But did you ever stop to think about what the teams are named after? I did. For this survey, I am using former names of teams still in existence only if the name changed. For example, the Hawks are counted only once even though they were in four different cities over the years, they were always the Hawks. 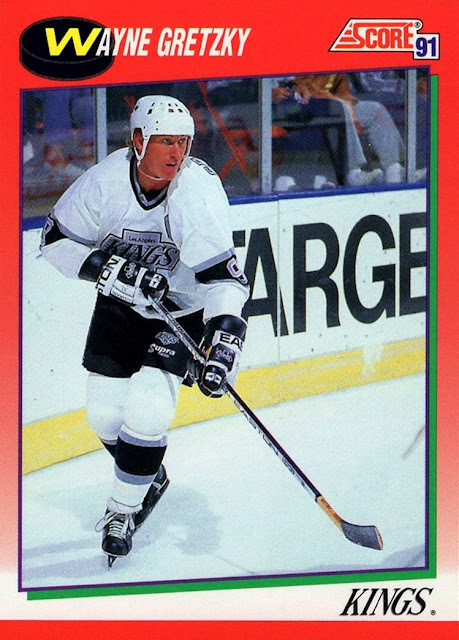 However, the Kings Franchise has been in 4 cities and used two names, Kings and Royals, the most recent of each is counted. Vehicles: Detroit Pistons, Houston Rockets, Indiana Pacers, Los Angeles Clippers, Providence Steamrollers, Indianapolis Jets, Washington Bullets, Seattle SuperSonics, St. Louis Bombers. 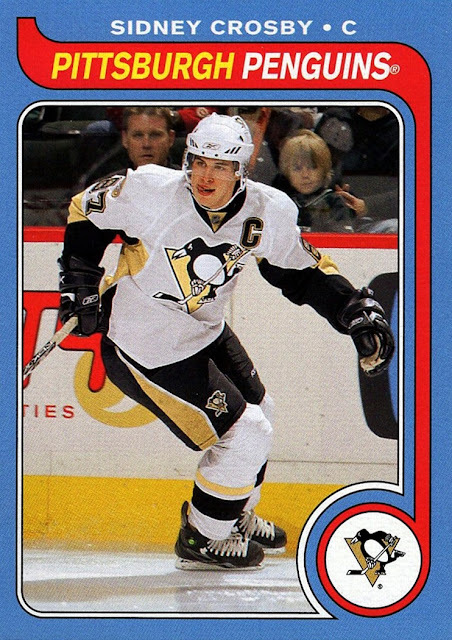 Now, to the NHL, with 30 teams...until October. Now, on the MLB, which also has 30 active teams. Finally, we move to the NFL, the league I know the least about, but has the most active teams, 32. I took a look at the MLS soccer teams but I can't quite figure them out so I didn't include them. NASCAR teams are a little different in that they are usually named after the person who started them, although animal themed teams do exist there, too- Red Horse Racing just closed up on this past month, in fact. But I stuck with the four leagues profiled above. Interestingly, the MLB's different team lead only comes out to 1, which surprises me because they have been around so long. Maybe my source (The Teams listing on the Trading Card Database) is missing some of the old ones, if they don't have any cards issued. I know there are some early NBA teams that don't have any cards. I remembered one in this list (Sheboygan) but I am probably forgetting some others. 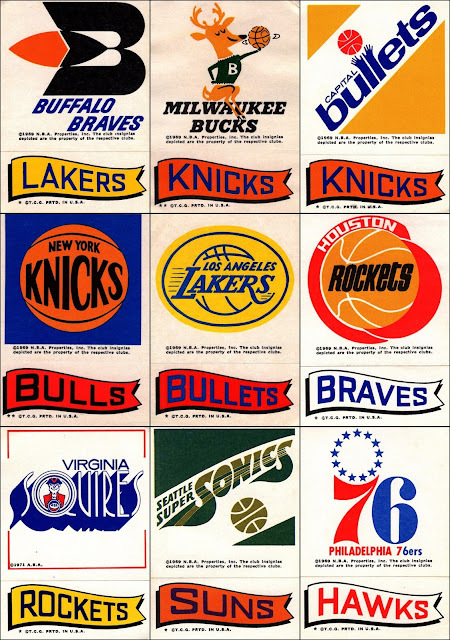 Surprisingly, only one team is named after sports equipment...my favorite team, the Nets. I didn't see that coming! What I did suspect, though, is that the New York Knicks ARE the only team named after pants! I've always wondered about that, and now I know. Animals didn't have as much a lead as I thought they did- although some of the Peoples listing may be a little bit of a stretch. I'm not 100% sure the origins of the team names in baseball and football, so I may have classed some of them wrong. I showed the work so if you see an error feel free to correct me in the comments. The MLB really needs a team named the Jets! The other three leagues have, or had, one. 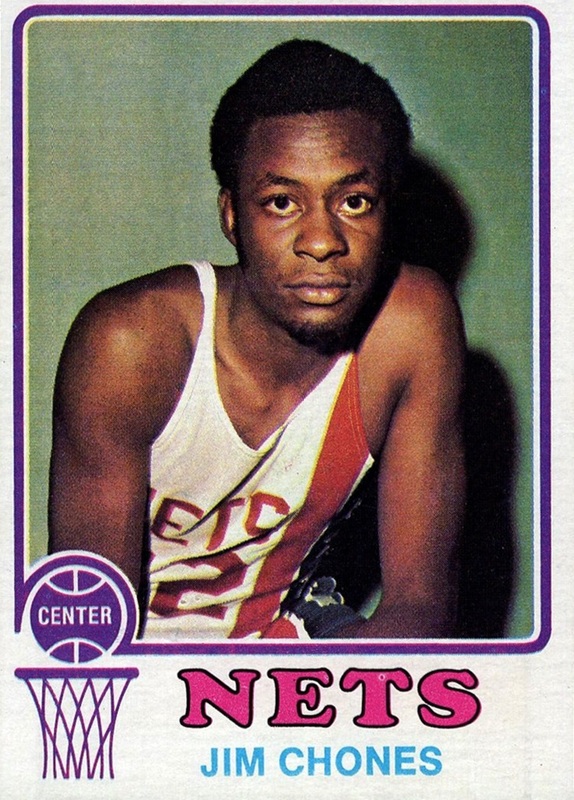 (The NBA's Jets were a very short lived team in the early day). At some point perhaps I will expand out this survey to include minor leagues, college teams, former leagues. I nearly included the ABA in this survey but I wanted to keep it to the top league in the sports surveyed, and the ABA had so much change and renaming it would have skewed the numbers. If I do expand it out the ABA is where I will begin though. My first card from the set and of Mahovlich. 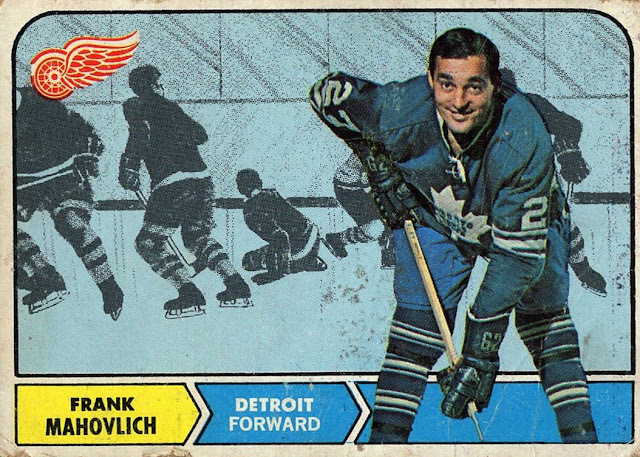 1968-69 Topps. 1974-75 Fleer Cloth Stickers. These are not too common, and all 4 in my collection have come from this dealer. 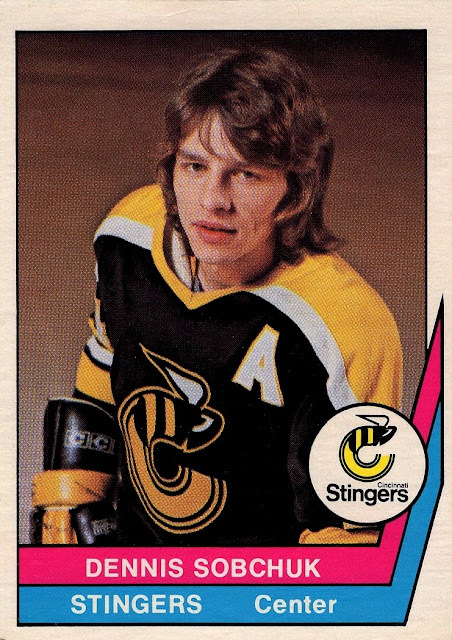 How can you tell this set is from 1974-75 and not 1973-74? The Jazz were an expansion team debuting in 1974-75. The adhesive has attacked the cloth on these unfortunately, every single example I've ever seen. Each team got two stickers, a logo and a logo over a basketball. An SLU oddball? Yes! 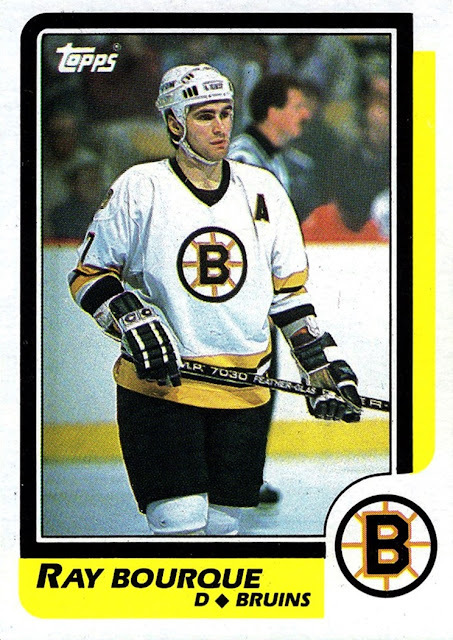 OK, it's not numbered or vintage, but does date from the 1989-90 season. It does have a slight bend, but for under a dollar I'm not going to complain about that. 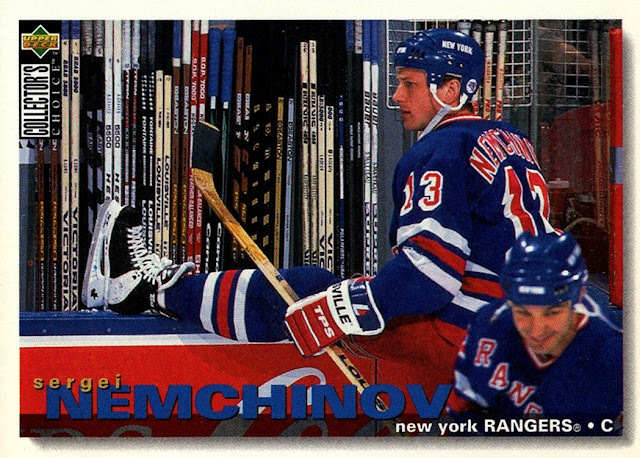 Again not numbered, but not a common insert. 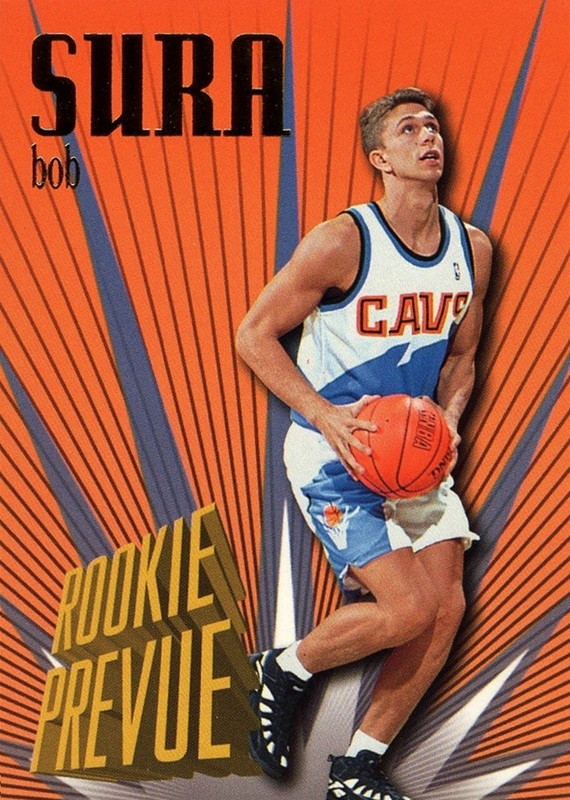 From 1995-96 Skybox, one of the first sets I got as an NBA collector and it was new, it is only the second card from this insert in my collection. 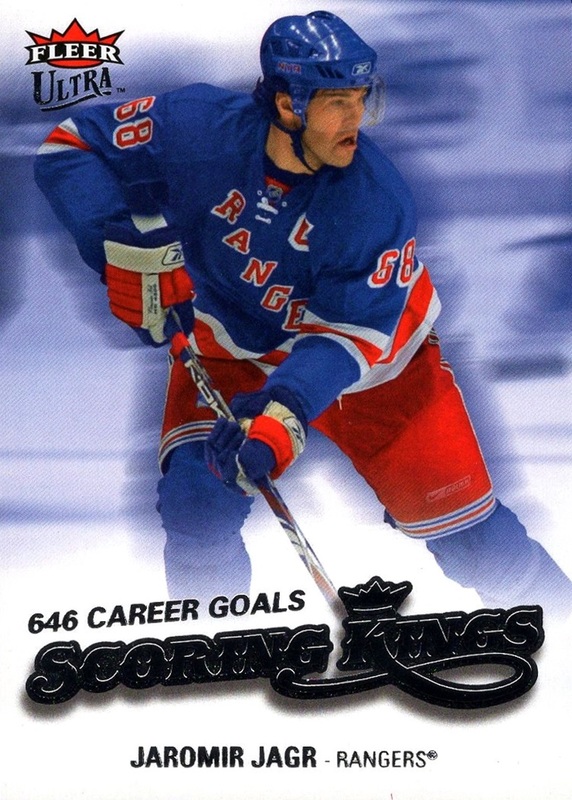 UD Exclusives is the longest running parallel in trading card history, debuting in 1998-99 in both the NBA and NHL and continuing to this day in the NHL, and lasted I believe until the end of the UD license for the NBA in 2009-10. 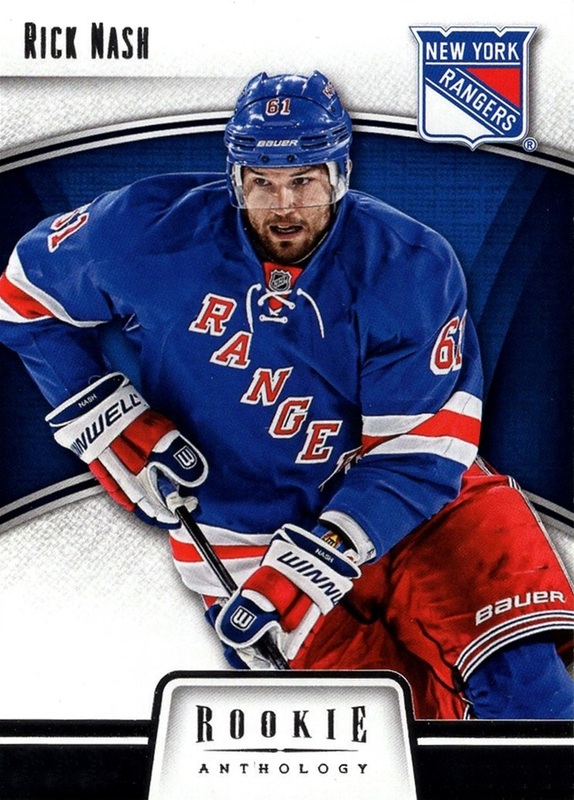 This is my first UD Exclusives NHL card, I have about 15 or 20 from the NBA, but I've not actually counted. This is SN but hard to see the number, over the word Authentic. Green foil? SN to 99? $2? YES! 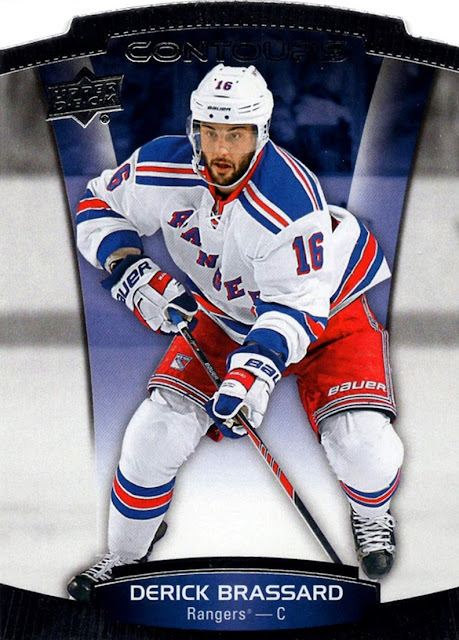 I really wish they had put the team logo and team banner on the same card instead of mix-and-matching them. 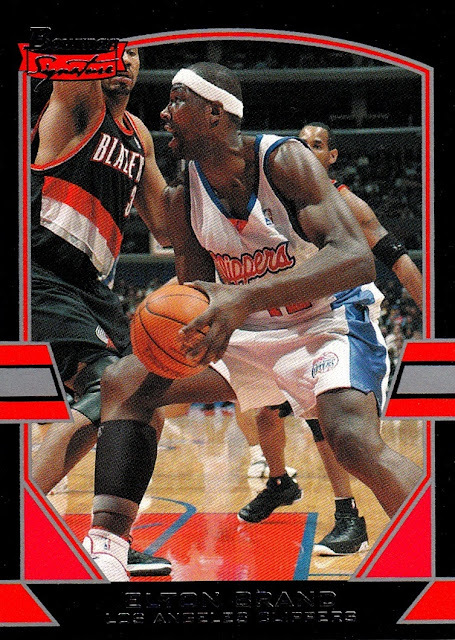 I have no cards in my collection for the Capital Bullets, and this one will be counted as a multi-subject card as are all in this series. I didn't realize this was card #1 when I got it- I knew I didn't have it, and the price was right, so I got it. I like to have #1 cards for sets, for some reason. 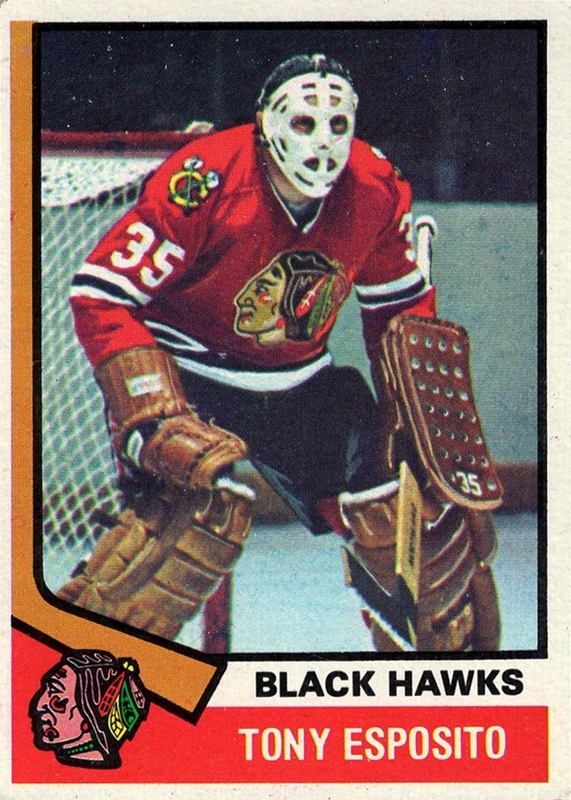 This is actually my first card of Tony Esposito, my third from the set. I wasn't sure if I needed this card or not- I thought I did, so I took the chance, and it turned out that I was correct- I did need this card! Not anymore! These cards are super thick, and every base card in the set is SN999, not just the rookies. 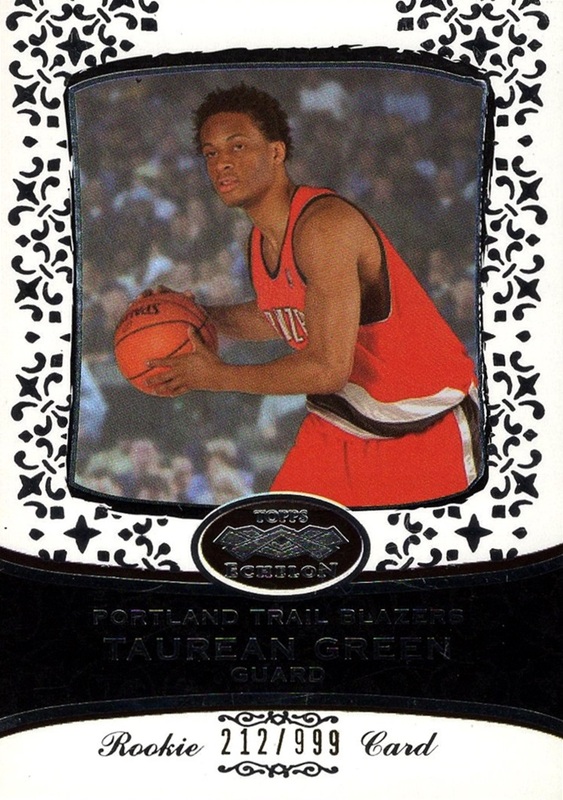 This is only my second card from the set and of Taurean Green. 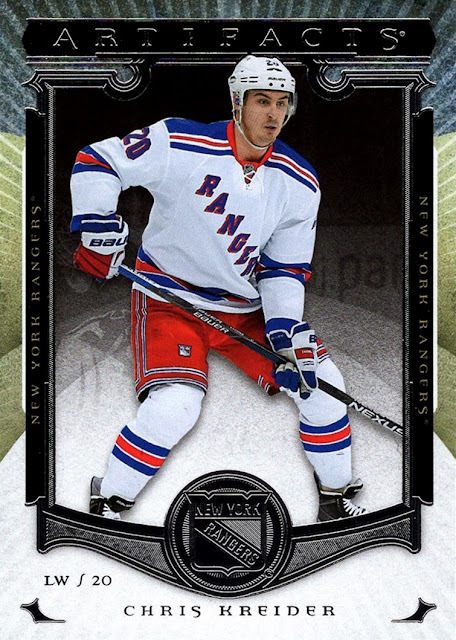 My third card from the 2009-10 Topps gold parallel. The last Topps NBA set, the cards are generally out of my price range due to the presence of the Steph Curry rookie card in the set. My first card of both player and set. 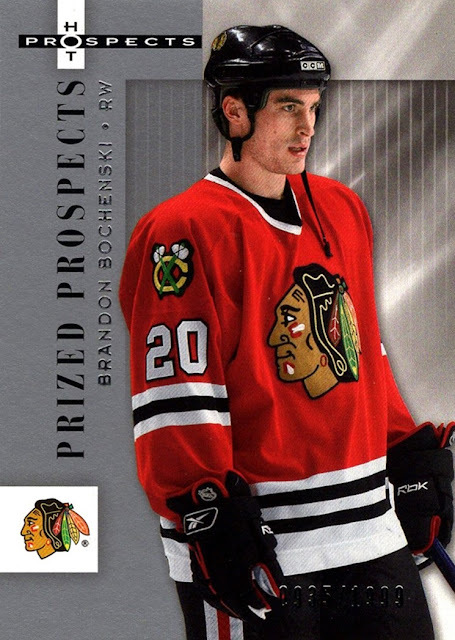 2005-06 Hot Prospects. 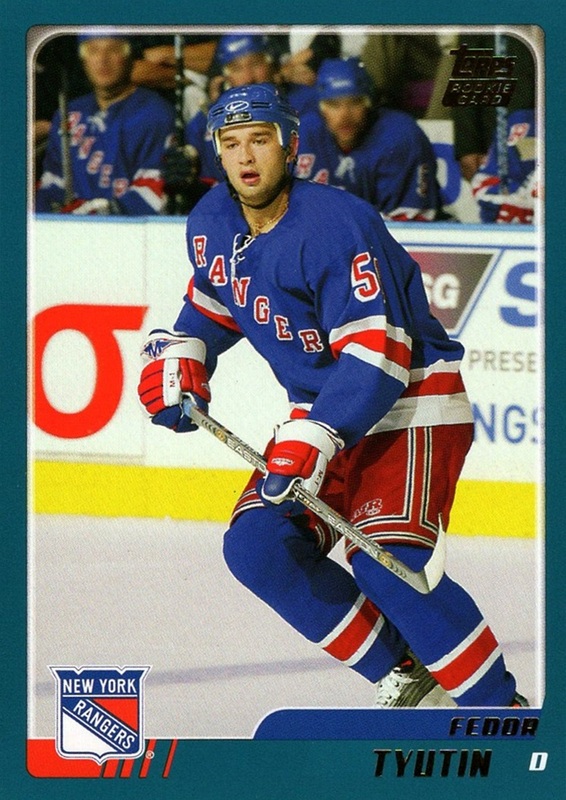 My first card of Jessiman, but not of the set. 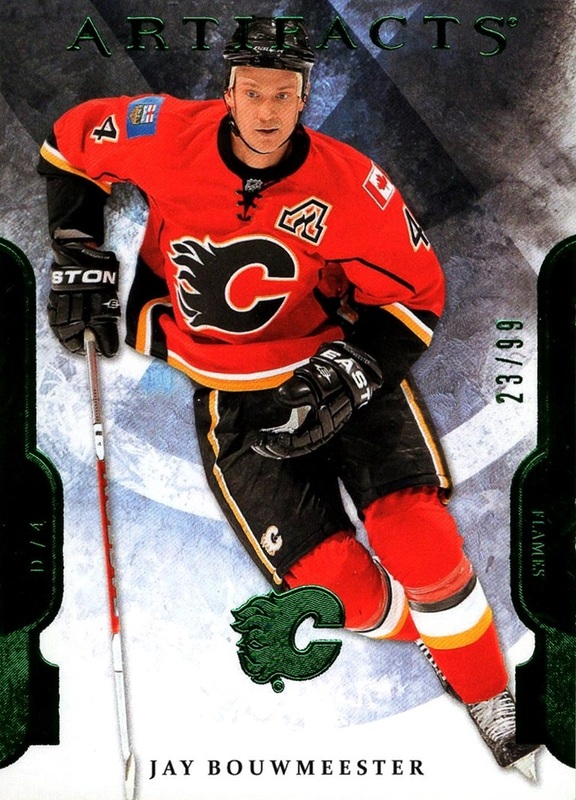 This is the same set as the Emerald Bouwmeester shown above, 2011-12 Artifacts. There is one other numbered card I have not scanned yet as it's a mirror foil card and they are best done as a page of all foil together. It's a die cut parallel of Xavier Henry. I'll get it scanned at some point. Back on May 5th I got a surprise package of mostly Rangers from Jedi Jeff out of the blue...I was not expecting them whatsoever! But there was a lot of great stuff in there, and now I'm going to show you some highlights. First off, I added 22 new people to my collection, and 11 new sets! The package also brought the Rangers to within 3 cards of the lead in my collection, trailing the Tampa Bay Lightning. 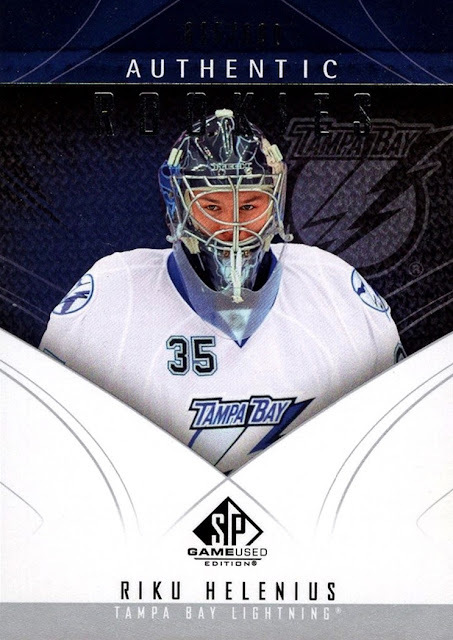 My friend who sent me almost 3000 cards in January 2015 is a big Lightning collector and fan and sent me his duplicates so they have been in the lead for quite some time now. Wayne Gretzky did pass Vincent Lecavalier for most cards in my NHL collection, with 32 cards. All of these stats come from the tools the Trading Card Database provides. Ok, now some random or not so random scans. 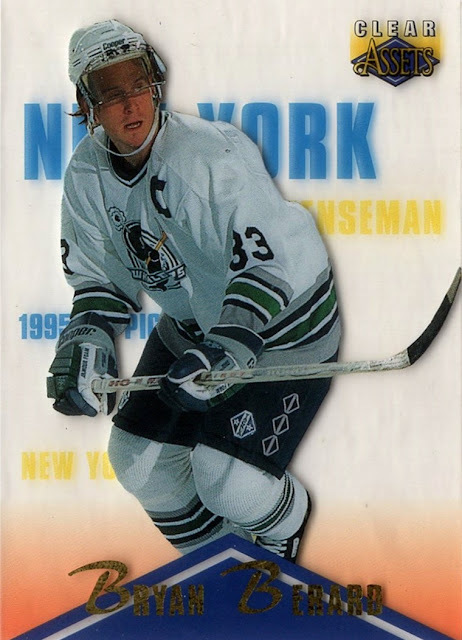 The 1993-94 Ultra design is great in the NBA...but the NHL version, with the gray border instead of tan, may be even nicer! 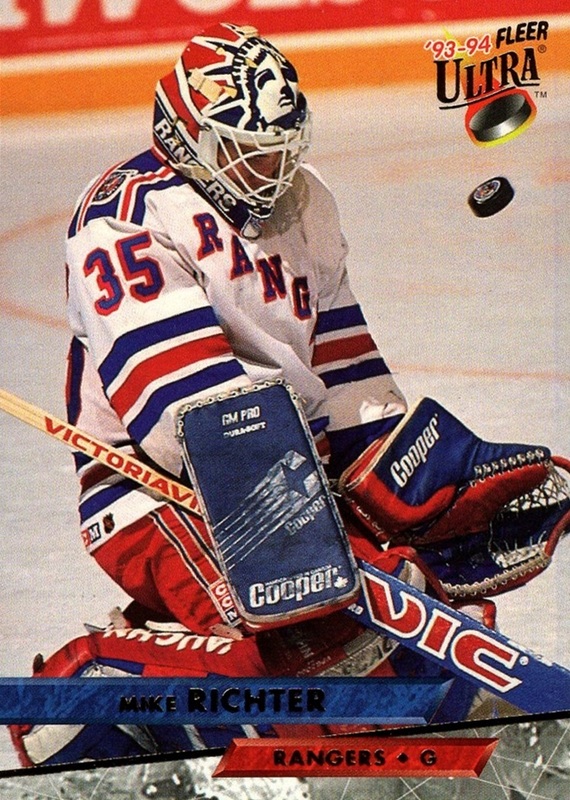 I think this card, from 1995-96 Collector's Choice, may be my favorite image in the bunch. As someone with pretty severe OCD the fact that the sticks are lined up by style really makes me happy. I can't identify that logo on the uniform. It's CHL. I know that much. 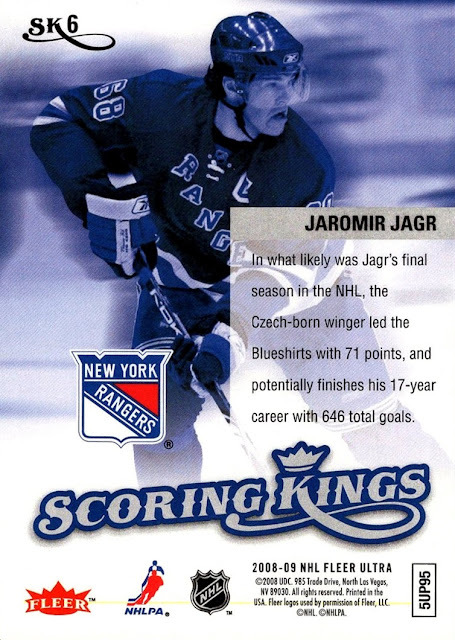 This is one of the 800 card sets I mentioned in the It Begins post. I had to share the back of this one...from 2008-09, it speculated that 2007-08 would be Jagr's last year. 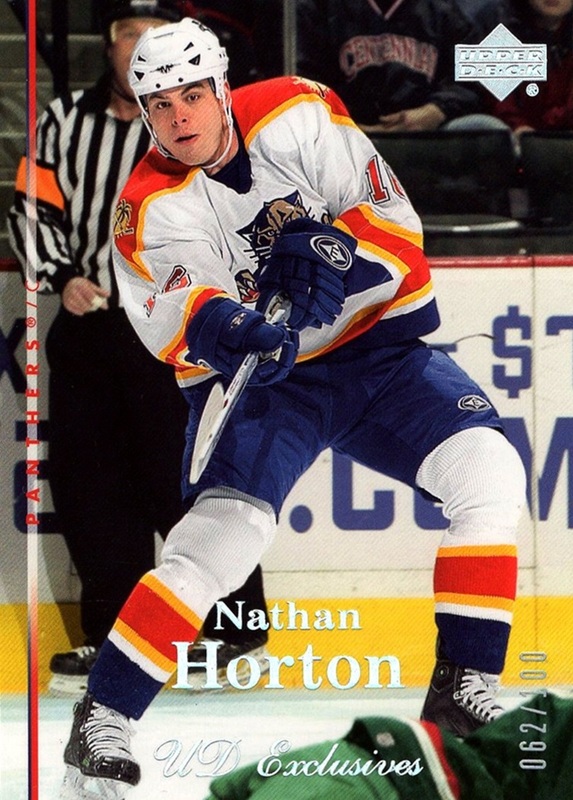 Far from it, he's still playing...he entered the NHL the year I entered kindergarten, and he's still going! I really like the 2009-10 UD design. My first card from this set, I really like it. I picked up a cheap autograph from the set on the COMC sale so it will show up again in the not too distant future. The first two cards I saw out of the package were the patch I showed on the day they arrived and then this one! I knew it was going to be a good package when it led off with two SN cards. 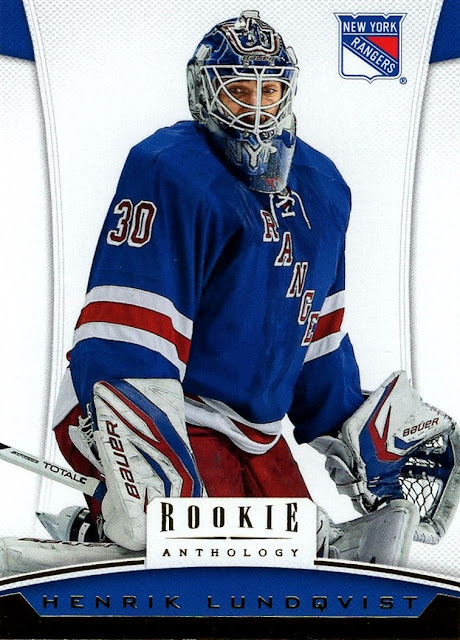 My first card from 2012-13 Rookie Anthology. 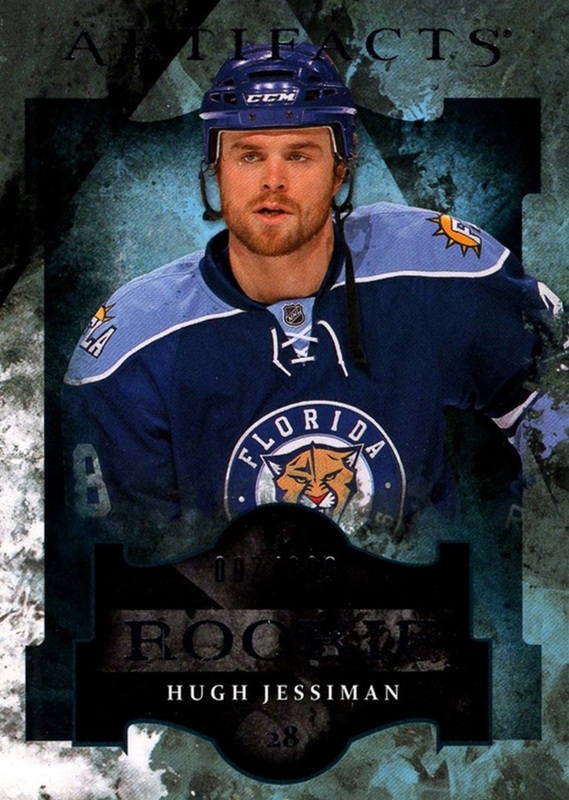 By 2013-14, Ultra had been relegated to an insert in Fleer Showcase. Bring back a freestanding Ultra! 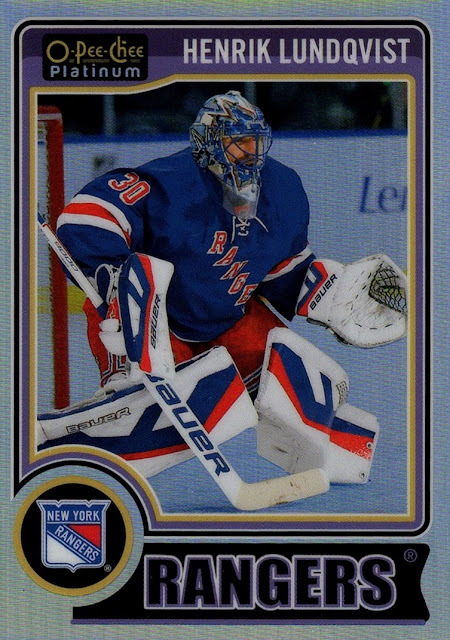 These Rainbow parallels do not scan anywhere near as nice as they look in hand. They are Upper Deck's version of a Refractor. ...all the way up to 2016-17! Thank you again Jeff, this was very, very appreciated!